To be honest, I wanted to review DS & Durga White Peacock Lily1 even before I smelled it because I could, finally, use a white peacock to illustrate a post. Apropos of nothing, I have come to regard white peacocks as my 'spirit animal'...and have warned friends that after I croak to pay attention if a loud-mouthed white peacock crosses their path — or blocks it (could be dear ole me; you've been warned). White Peacock Lily is one of a trio of releases DS & Durga launched in 2016. The other two perfumes were Rose Atlantic (a tepid, fast-wilting rose that recalls a bathtub more than the mighty Atlantic) and Radio Bombay (a pleasant sandalwood perfume that reminds me of the tiny bottles of sandalwood oil a friend always brings me back from her trips to Delhi). White Peacock Lily stood out in this trio because of its bright/bold character, and I'm always drawn to floral perfumes come January and February here in the Pacific Northwest. White Peacock Lily has listed notes of oleander, cabreuva wood, grapefruit pith, white lily cream, jasmine, violet, ambrette seed, vanilla and "fog." White Peacock Lily's opening presents pollen-rich (a touch of powdery bitterness), intensely scented flowers, like the dense/citrus-y aroma of May Chang flowers (Litsea cubeba) that I miss smelling since I moved from Los Angeles. White Peacock Lily also provides a green and spicy background for the blossoms, a note that is probably the "grapefuit pith" but is reminiscent of tender, fragrant tomato vines. White Peacock Lily gives me a pleasant jolt that diverts my attention from gray-skied, cold, damp winter in Seattle. As White Peacock Lily develops, I detect soft (but not soapy or talcy) jasmine blossoms mixing with residual grapefruit rind aromas. Though this is a floral perfume, big time, I think guys should give it a try...the 'tomato vine'/grapefruit tang offsets the flowers, which are gutsy, not delicate. For those who find White Peacock Lily fun but who shudder at DS & Durga's surge in pricing, I can heartily recommend Pacifica Malibu Lemon Blossom (29 ml perfume spray, $22). Malibu Lemon Blossom replaces White Peacock Lily's grapefruit with hearty lemon but keeps the beautiful May Chang flower scent. Best of all: Malibu Lemon Blossom's quality is on a par with White Peacock Lily. Such is the world of perfume! DS & Durga White Peacock Lily Eau de Parfum is available in 50 ml ($175) and 100 ml ($260). 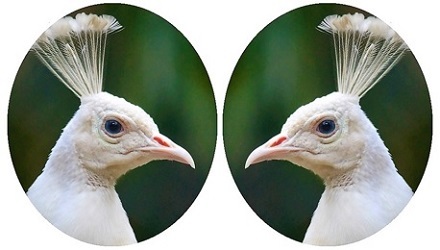 Note: top image of white peacock [altered] via Wikimedia Commons. 1. "A lone peacock floats over cream lilies, oleander, and a sea of alabaster violet. Orchestral pads of harps and horns drone. Pale blue fog hangs in the far woodlands." DS & Durga PR. Of the three releases, I remember liking the WPL best, but altogether was disappointed. It seems there is not only a change in pricing but the juice is more mainstream now. Schaf…this trio was certainly not quirky…and I am waaaay behind in sampling from this line. I haven’t loved loved any DS and Durga that I’ve tried, although I do like and own Atlantic Rose. The salty rose thing does it to me every time and I just spritz a lot when I wear it. But it’s too much money. I will retry my sample of this one. Great peacock! Amy, thanks! I love their blue eyes. Oh I forgot, what I do love from them is a couple of the HYLANDS, annoying as the back stories etc can be. But the lake mountain I can never remember what it is called that I love would just make winter in the PNW more depressing. Yay for Malibu Lemon Blossom! Such a cheerful scent. Love the small bottles from Pacifica. Sariah, a double shout-out for cost and size. Yes, it’s a happy scent, and I love the small bottle. Another yay for Pacifica! They have some great stuff! Off topic Kevin. I’m trying to find a perfume I wear. Guerlain Terracotta Le Oarfum. Last year we bought it at Bergdorff’s and I saw Nordstrom had it too. Now it’s gone! I’ve only found it on eBay so far. Any suggestions? Missyl, sorry, it seems to have vanished! At least for this year. Missyl, butting in to say I swear I just saw it this week, somewhere at a department store online, and it is back on Guerlain’s “new” page, at least on the French site. So I would say hold tight a few more weeks, I am 99% sure it will get distributed again this year. Thank you Robin! That is encouraging. I did try this and found it pretty soapy, IIRC. I find a lot of their florals soapy. I haven’t been moved to own any of their scents since My Indian Childhood, really. They do seem to have gone for clean and safe these days. But I do love those peacocks and your reviews never fail to make me laugh! Elisa: thankfully, no soapiness on me…but I power-sprayed so maybe that’s why…. Now I’m thinking about what the scent of ‘white lily cream’ might be like… I’m imagining a slightly dry (not too sweet) lily scent mixed with Nivea, in a good way. Can’t recall when I’ve tested a DS&D perfume. I must have…? Oakland: those three words could mean many things! WHITE-colored, lily-scented cream (as in moisturizer); a moisturizing cream scented with WHITE lilies; believe it or not there are so many floral-scented desserts in Seattle I was thinking of a candy-cream flavored with lily. HAHA! Sounds like a Theo confection! I have a backup bottle of My Indian Childhood. I miss their original idiosyncratic packaging, too. Noz: I see when I come back as a white peacock I’ll have to seek out Petah for some revenge! (of course, they may not have been killed for her art specifically). The bottle I have of a DS & Durga is Pomelo Blossom…enjoy that one…and it always gets noticed. Thanks, Noz. A mystery still…how many beautiful young animals die naturally in zoos!? I have always wanted a huge ram’s skull or longhorn skull…then I noticed the bulletholes in their heads as I tried to buy some…’died naturally’ was used then, too, in the descriptions. Thanks for this review, Kevin, and happy New Year! Since Malibu Lemon blossom is my favorite cheap thrill, I think I’ll stick to that, but would certainly like to give White Peacock Lily a sniff if it ever crosses my path.